At this point you know how we feel about Dale DeGroff, Derek Brown, Garrett Peck, and the Museum of the American Cocktail. 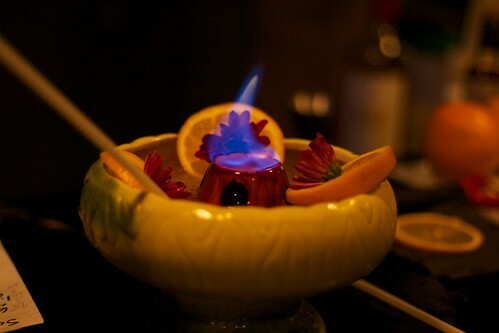 You also know how we like fancy parties with good drinks. So I’ll be brief: all those people (and more) are organizing DC Toasts the Black Mixology Club, a benefit for the Museum, May 10 at the Howard Theatre. The Chuck Brown Band will perform. The discount for early ticket sales has been extended through tonight. Regular tickets at the early access price are $65; VIP tickets with early admission are $90. For more information, check out the Washingtonian’s Best Bites Blog, this Kojo Nnamdi interview with some of the organizers, or the event’s about us page. 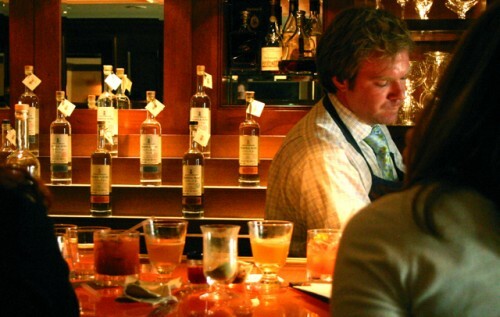 While this site is about and for DC and the surrounding areas, sometimes there are worthwhile events worth traveling for, such as the Manhattan Cocktail Classic. The opening gala on May 17 takes DC’s annual Repeal Day Ball and turns the dials up to about 35: it takes over the main branch of the New York Public Library, with space for a few thousand guests and multiple bars, bands, speakeasies, and hidden delights scattered around four floors of the building. It ain’t cheap though. This year the organizers have announced a new Uber VIP package, which includes VIP admission to the gala, transportation from Uber, and access to the MCC’s parallel Industry Invitational event, which runs from May 18-20. What’s the Industry Invitational? It’s an inside look at all sides of the business, with sessions on history, operations, trends, best practices, and, oh, free spirits tastings all day long. For three days. If you’ve ever wondered what really goes into your cocktail glass – the who, the what, the how, and the how much – there’s no better way to learn than by spending three days attending professional seminars. Last year (on a press pass) I attended talks on the economics of production, the effects of filtration, the importance of ice, and a demonstration on how to use a rotovap or an iSi siphon to infuse spirits with flavors like habañero pepper or coffee. Plus countless others I’ve forgotten, since I had a cocktail in my hand by noon every day. The gala is worth attending (if you can afford it, that is), and the public events are a blast, but if you’re a cocktail nerd the Industry Invitational might just be worth the cost of the ticket and the trip to New York. Disclosures: we have received no compensation for this post but the Social Chair and I attended last year’s event on a press pass, and due to a misunderstanding, inadvertently crashed the opening Gala (and were let in with VIP passes once all was said and done). I wouldn’t recommend it if we hadn’t enjoyed and learned from it. 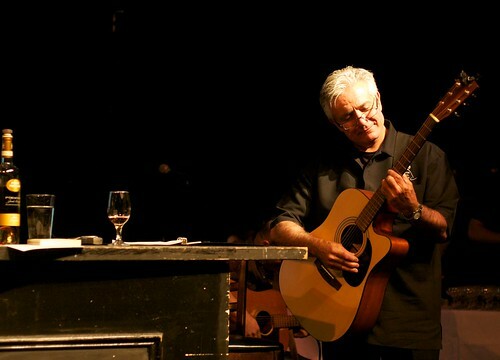 Dale DeGroff returns Thursday night for what I’ve been told is a bigger and better On the Town show, this time featuring pianist Dan Ruskin. This article, originally published last year, is a good preview for this year’s show. The fact that you probably already know what a Cosmopolitan cocktail is, and most likely even have a mental picture of the sort of person you imagine would drink it, owes its existence to King Cocktail. Widely credited as the bartender who made it popular (if not ubiquitous) from behind the bar at the Rainbow Room in the 1980s, DeGroff has a long history both with his leg up in front of the bar and as the all-seeing, all-hearing master of ceremonies behind it. The “On the Town” seminar is a chance for him to tell a sample of the stories he has collected – or been a part of – since he moved to New York four decades ago. LUPEC Launches with DC BRAS! Our cocktail culture has come a long way, baby. The art of crafting drinks is increasingly seen as just that – an art – and national recognition for DC’s bartenders and sommeliers has been catching up to what locals already know: we’re lucky to have some serious libation talent in our city. As an avid lover of craft cocktails and our local bar scene, it’s an honor for me to serve on the inaugural board of DC’s chapter of the quaintly named Ladies United for the Preservation of Endangered Cocktails (LUPEC). We’re a women’s society dedicated to elevating the reputation of the cocktail craft by investigating the history, recipes and traditions of that uniquely American invention. LUPEC DC joins an illustrious list of other chapters including Pittsburgh, New York, Boston, Chicago, Seattle and Portland. And yes, while we’re committed to raising the bar to its highest level of quality, we’ll have a bit of irreverent fun along the way. We here at We Love DC are unabashed, unequivocal fans of the DC Craft Bartenders Guild and their annual Repeal Day Ball. So much so that, within about 48 hours of the announcement that tickets were on sale (by which I mean within about twelve hours, really), Jenn, Brittany, and I (and the Social Chair, naturally) had all bought our tickets for this year’s ball. It’s the biggest party of the year, it’s focused on craft cocktails, and it’s thrown by bartenders themselves. This idea intrigues me and I would like to subscribe to its newsletter. The ball (8pm Saturday at Halcyon House) is sold out now, but those of you who are going for the first time are in for a treat. A continual supply of treats, to be honest. I won’t go over all the names (you can do that yourself) and I can’t predict what the drinks will be, but I can provide the voice of experience to get you to the end of the night with your dignity intact and your clothes unstained. Join me, won’t you? Jack Rose Dining Saloon has been opening in stages, overlooking the seemingly interminable construction at the intersection of 18th Street and Florida Avenue NW. Now that the dust is finally clearing from the brand new sidewalk outside, its long-awaited dinner menu has debuted as well and is being served seven nights a week in the downstairs dining room and bar. The upstairs patio has been in full swing for most of the summer and is due to continue the grilling and swilling through the fall, including a Tiki bar on the back porch that served me up some killer classics two weeks ago when I visited for the official debut of the downstairs menu. The key visual of Jack Rose is certainly its downstairs dining room’s wall of scotches, bourbons and spirits – 1400 bottles lining the bar in bookcases of booze. Between liquor, wine and beer the catalog of offerings can be a bit staggering, but the elegant room invites relaxed sifting through the menu while sipping some Ardbeg at the long bar, watching bartenders climb up ladders library-style to fetch bottles. Turn a corner at Jack Rose and the atmosphere can instantly change – every space here has its own feel, so give yourself some wandering time before deciding where you’d like to perch for a while. 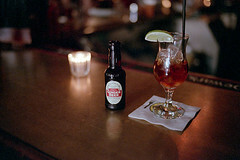 A long drink, a term with which you might not be familiar, is a bartender’s term for a cocktail which is longer on non-alcoholic mixer than it is on base spirit. You may already know some long drinks as highballs, a slightly younger name which refers to a long drink made with just a single base spirit and a single mixer, often with a fruit garnish. A gin and tonic is a highball, but a Tom Collins (containing not only gin and soda but sugar and lemon juice) is a long drink. The Tom Collins, by the way, gave its name to the archetypical tall glass in which these drinks are served. A highball glass is usually synonymous with a Collins glass (and vice versa). 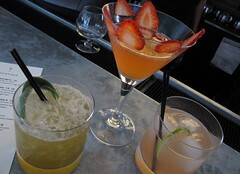 Cocktails follow formulas, and the combination of a single base spirit and a particular mixer often lends its name to some other concoction made with the same mixer and a different base spirit. The Tom Collins, for instance, begat the Vodka Collins. You could ask a bartender for a Whiskey Collins, and while he or she might look at you funny they’d know exactly what you mean without having to stop to think. Some names have lost popularity over time (Mamie Taylor, anyone? ), but others are still current and show up in all sorts of interesting combinations. The Mojito, by the way, is also a long drink; replace the rum with gin and it becomes a Southside; add lemon to that and it turns into a Major Bailey. Formulas! They’re magic! 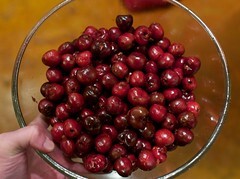 In February I posted a recipe and photographic step-by-step instructions for preserving your own cherries. In that post I noted, “supply is unpredictable and the cherry season is short.” If you’ve got the time, hie yourself to the supermarket, where Northwest sweet cherries are $1.99/lb through tonight (Safeway) or Thursday (Giant). My local Safeway had Mason jars in stock the last time I looked, too. Target carries some attractive jars, but their supply can be unpredictable. I have also bought jars at Logan Hardware. What are you waiting for? 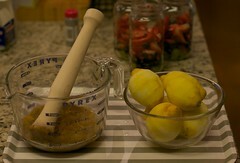 Get preserving! You may recall from previous years that July is Rickey Month. July’s over, but tonight the DC Craft Bartenders Guild wraps things up for 2011 with its Rickey Month Party at Jack Rose. Finalists, announced via email on Friday, are after the jump, along with a few tasting notes from our team on the ones we tried. In our ongoing “A Round With…” series, We Love DC chats with some of the interesting people behind our local bars. In this installment, I had the opportunity to sit down with Rico Wisner at the recently-remodeled Bar Rouge inside the Hotel Rouge. The bar space has been expanded and spruced up – and, under Rico’s direction, the menu of wines on tap and craft cocktails has been upgraded as well. The current menu is summer to the max, featuring combinations of flavors like pineapple with basil and blueberry with sage. Many of the key ingredients come from Wisner’s rooftop garden, the tending to which he describes as among the most gratifying parts of his work day. Unlike the garden he became accustomed to snipping from while working at Poste, the garden at Rouge is closed to the public and affords him a quiet moment to water, clip, and consider new recipes. 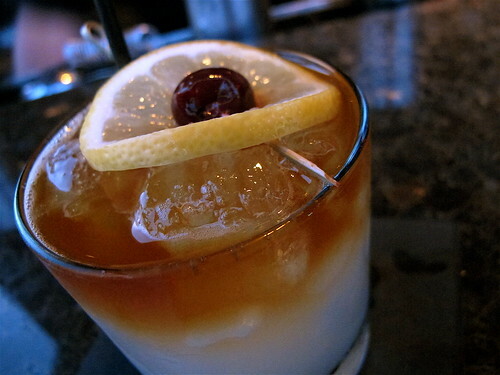 Recipes like the extra-tasty San Juan Swizzle – a combination of ginger, rum, soda, and ruby port. 1. What is your current position and how did you get to where you are today? Lounge Manager at Bar Rouge. 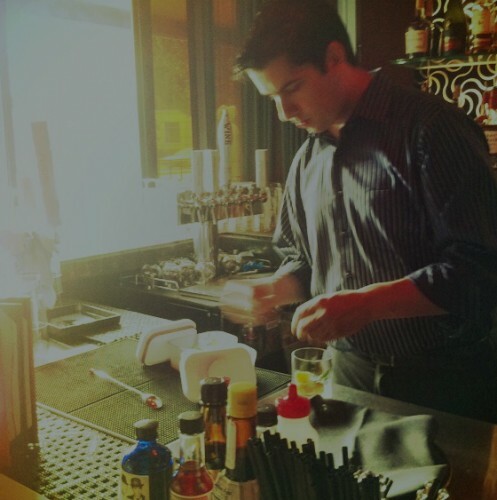 I started out bartending at a country club while in college. Within a couple of months I was the head bartender. I then bounced around to all kinds of places and ended up as the Bar Manager at McCormick & Schmick’s, that’s where I got into the history of cocktails and creating cocktails. Then I joined Kimpton Hotels five years ago at Poste, where I shortly thereafter took over as the Bar Supervisor/Beverage Manager/Mixologist. Then in January I was promoted over to Bar Rouge to oversee the reconcepting of the bar and overhaul the beverage program. Twice a year, Quill lounge at The Jefferson invites in a a handful of DC’s most acclaimed mixologists for a little friendly competition. It offers the rare opportunity to see individuals from across the city behind one bar together – and to sample the wide variety of creations all featuring a single highlighted spirit. Up for the judges’ consideration this summer were Joe Cleveland of Oyamel, Clinton Terry of PX, Patrick Owens of American Ice Co., JP Caceres of Bourbon Steak, and Dean Feddaoui of Beacon Bar & Grill, each making a cocktail that included Tequila Ocho. If you follow me on Twitter, you might be aware that this has been an eventful week. Literally. Friday the Social Chair and I hosted her birthday party, Sunday we hit our usual brunch, Monday I had a tasting, and Tuesday saw the launch party for Dan Searing’s new book, The Punch Bowl. 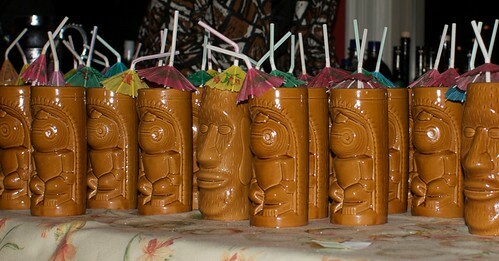 Plus Tuesday was, as always, Tiki Tuesday at the Passenger. So I was busy. Instead of picking just one of those, I thought this week would be a perfect opportunity for a photo feature. So here goes. Remember how I said I reached out to Dan Searing about a launch event for his book? I found out earlier today that launch event is tonight, at 6pm in the Warehouse Theater behind the Passenger. I’ve already made use of the book, as you might discern from the above picture. That’s an oleo-saccharum in progress — sugar muddled with lemon peel, extracting the oil from the peel and resulting in a much more complex final product than you’d get with just lemon juice. I’ll see you tonight! Monday I attended a talk by noted (some might say legendary, and they might not be wrong) bartender Dale DeGroff. Arranged by and benefitting the Museum of the American Cocktail (also behind the Hotel Cocktail seminar Jenn attended), the talk had the simple title On the Town with Dale DeGroff and an equally simple, but delightful, construction. The Grin Gala, now in its fourth year, is a benefit for Operation Smile. It is described as “an evening of cocktails, dancing and silent auction.” Lauren Graham, pictured above, is this year’s honorary host. Tickets come in two varieties: general admission ($120, of which $95 is tax deductible), and VIP ($240, of which $215 is tax deductible). VIP access includes an early reception on the Chamber of Commerce rooftop with top DC chefs and mixologists including Chef Todd Gray and Mixologist Simo Ahmadi from Equinox; Chef Peter Smith from PS 7; Chef Victor Albisu and Mixologist Troy Bock from BLT Steakhouse; and Mixologist Stephen Warner from Columbia Firehouse. The Social Chair and I will be there as invited guests. Look for us there Saturday night, and a wrap-up of the cocktails and food here next week! Fresh off his excellent showing at ARTINI, Brent Davis invited me to sample a few of the new spring cocktails over at British gastropub AGAINN. As I sat sipping drinks observing the happy hour crew, Brent greeted regulars with a friendly wave and a jibe. It was obvious that they love him. Just after telling me a funny story about the gin and cucumber drink he created for a regular called The Modest Lobbyist, the young lady herself entered. It’s that kind of bar. We Love Drinks continues our series where we look behind the bar, profiling the many people – from mixologists to bartenders, sommeliers to publicans – who make your drinks experience happen. On a recent afternoon I sat down with Jeff Faile, until next Thursday the bar manager at Palena, and soon to be the bar manager (part of an excellent team) at Fabio Trabocchi’s return to DC, Fiola. An army brat born in Rhode Island, he has a history degree from Clemson. Previously a manager at Tower Records in Philadelphia who moonlighted as a bartender, he moved to DC about five years ago and began bartending full-time. 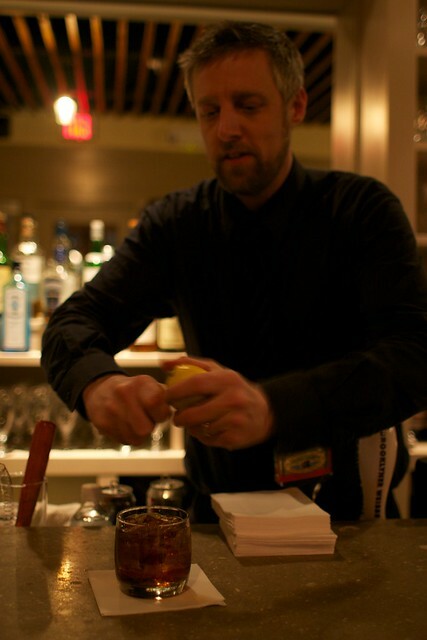 In November he got married, became bar manager at Palena, and was invited to join the DC Craft Bartenders Guild. And he owes at least part of his success to Twitter, of all things. On Tuesday I was an invited guest at Café Atlántico for the restaurant’s special Carnaval Celebration Menu. I arrived early and found myself at the bar talking to one of the bartenders about the restaurant’s cocktails, and this seemed to set the tone for the night (surprised?). I could happily have sat at the bar all night, sipping excellent cocktails and talking to the bartenders about various spirits (want to out yourself as a cocktail nerd? Ask them about that bottle of Falernum and how it compares to the one you have at home, not to mention the house-made stuff at PX). Although chef José Andrés has yet to respond to my offer to judge a Gin and Tonic showdown (which still stands) it’s worth noting that tonight from 4-6, there’s a free cachaça tasting at Café Atlántico. It’s the first event in the restaurant’s Brazilian Carnaval, which culminates next Tuesday with a three-course, prix fixe dinner, samba performance, and dance party. If you’re looking for a different sort of Mardi Gras experience, you could do worse than Carnaval. If you’re not familiar with it, cachaça, a spirit distilled from raw sugarcane, can be considered a cousin of Rhum Agricole, which itself is not to be confused with other types of rum distilled from molasses. Like rum, it can be light or dark depending on the process and aging. Unlike rum, cachaça has up to six grams per liter of added sugar. Confused? Afraid? Don’t be. If you like rum, you’ll probably like cachaça too. 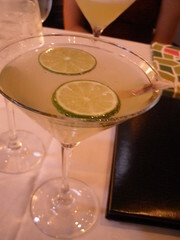 The classic cocktail featuring cachaça is a caipirinha. 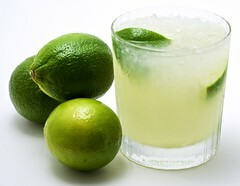 In its purest expression, it is a sipping cocktail consisting of little more than muddled lime and sugar, crushed ice, and cachaça, in an old fashioned glass. Some bartenders serve theirs in a Collins (tall) glass, topped with soda, which makes an excellent refresher in warm weather. Tonight at Café Atlántico you can sample two different brands of cachaça: from Leblon, casked in Cognac barrels, and Novo Fogo, whose silver cachaça is rested in steel tanks so it is still white. Also part of its Carnaval celebration, the restaurant hosts a capoeira demonstration on Sunday and the aforementioned dinner on Tuesday. Reservations are recommended for the weekend and required for Tuesday night’s dinner. I’ll be there Tuesday night to lean on Chef Andrés personally on the matter of his bar’s gin and tonic. Oh, and to try the food. I’ll report back on that subject next week. Who doesn’t love a little smack talk? After Adam Bernbach’s recipe got a little love from the Post (and, for what it’s worth, from Katie Nelson in these pages) Chef José Andrés Took matters into his own hands, or at least his own twitter account, posting “thats a great drink, agree! and i love estadio but aint a gin and tonic! 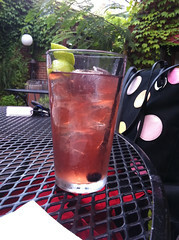 let me post my gin&tonic(love controversy)”. Now Derek Brown has offered to host such a showdown at the Columbia Room. I said it to him on twitter, and now I’ll say it here: Jenn and I will be happy to assist with any judging. Just make sure that Todd Thrasher is included too, since Adam said his gin and tonic was the inspiration.